No matter what part of the world you’re from, travelling and studying overseas is the best way to expand your horizons and give context to your understanding. Throwing yourself into a totally foreign environment comes with challenges, like speaking a different language, writing, and meeting new people, but the opportunity for growth is unparalleled. Master of Management (Marketing) student Sherry Lee studied public administration in her home state of Taiwan. However, it was doing an elective in management and marketing that inspired her to dive into postgraduate studies. 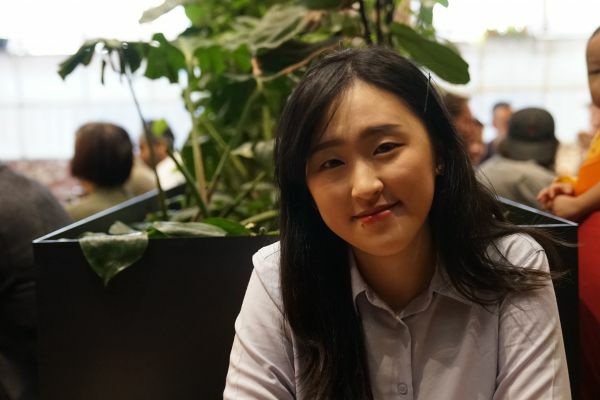 After spending some time working in marketing for an online Korean fashion retailer, Sherry moved to Melbourne. It was an opportunity for her to follow her new-found passion, as well as taking a leap and opening herself up to a new, more global understanding. “Coming to MBS has given me the chance to really engage and gain a much broader understanding of marketing. The teachers and the course are fantastic, and there are all sorts of opportunities. I did the Global Business Practicum in Kuala Lumpur, with a company called RSM, not many people have heard of them, but they’re actually the world’s sixth largest accounting firm. In Malaysia there are a lot of regulations around the promotion of service providers like accountants and lawyers, so we worked with them on a social media project, creating a campaign that would reach their audience, while still operating within those guidelines,” she says. Now in her final semester, Sherry reflects on her time in Melbourne fondly, and thinks it’s worth the trip for other Taiwanese students interested in overseas study.